As part of the Guest Country Program at the Busan International Short Film Festival, J.Lee Williams, along with Ana Serrano of CFC, became one of the honored guests to represent the Virtual Reality landscape in Canada. Celebrating emerging directors and showcasing fresh and diamond-level short films, BISFF, held in the metropolis, coastal city of Busan in South Korea, is a festival in its 34th year, which gives focus to the artistic weight and orientation of short films. 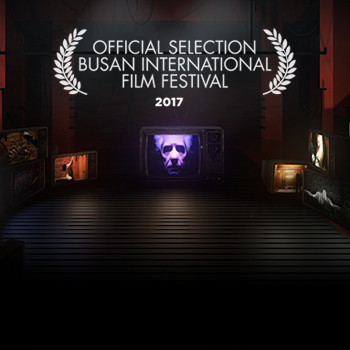 The elevated experience includes programs such as Operation Kino—a documentary competition with the winner awarded a cash prize and screening at the closing gala; the Busan International Transmedia Forum; as well as, intimate post-day social gatherings and larger-scale galas, where both industry and film enthusiasts are likely to be found clinking soju-filled glasses—South Korea’s popular alcoholic beverage. Other than their preferred drink, what gives BISFF a distinct flavor is the Guest Country Program. A feature which explores—beyond the artistic expressions of film—the chosen country’s cultural, social and political climate through performances, exhibitions and panel discussions. This year the guest country is Canada. 1) Canadian Panorama highlights short film excellence under different genres including animation, fiction, documentary and experimental film. An example is a film called, “OverPass” from Director Patrice Laliberté which fictionalizes the street art culture. 2) Canadian First Nations introduces 7 films of different genres acquainting visitors to the Indigenous cultures and creators in Canada such as the animation “Here and There” from director Diane Dufaux, a humorous story about a girl caught between two worlds of English and French. 3) The National Film Board was given the spotlight for its esteemed role on shaping Canadian film content and talent through funding and distribution. One of the films screened included: “Lock” by director Louise Archambault, an experimental doc on dance movements with spectacular camera angles to capture the elegant positions of the human body. 4) Finally, VR Film which features home grown Virtual Reality content and creators. At the helm was Ana Serrano, Chief Digital Officer of the CFC + founder of CFC Media Lab, and her contribution to the fast-moving medium within Canada. She joined director J.Lee to screen Cronenberg’s BMC, Vice’s Cut-OFF VR Documentary and CFC’s Invisible World: The VR experience. It didn’t stop there. J.Lee was invited to the Transmedia Forum to introduce Occupied VR, it’s inception, work methods, the company’s perspective on the constraints involved with tackling the innovative medium, and how the future of discourse and aesthetics in film/media are currently being defined by this fast-emerging tech. Occupied VR would like to give a special shout-out to Suh Byungsoo, Busan’s Mayor and Festival Chairman; Cha Minchol, Festival Director; and Eric Walsh, the Canadian Ambassador to South Korea for their warm and generous welcome.